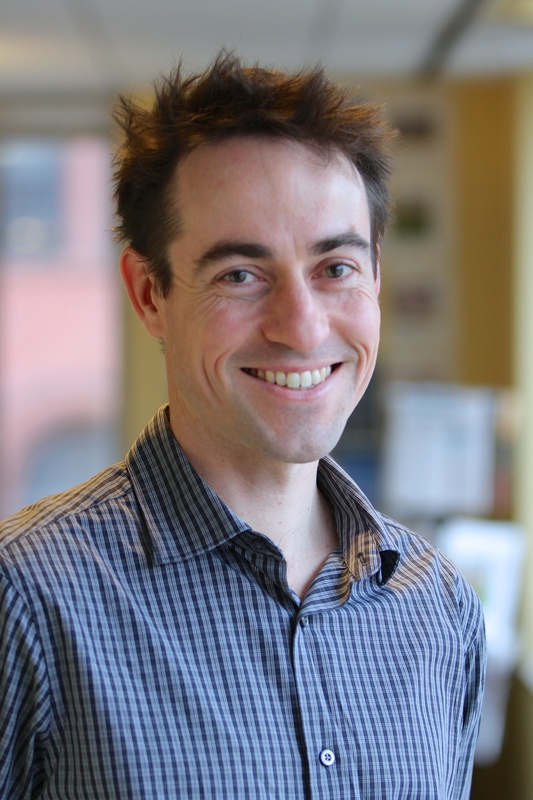 Nate Aden is a Senior Fellow with WRI’s Business Center, as well as the WRI Climate Program. Nate leads interdisciplinary research focused industrial sector transformation, methods to align company GHG targets with ambitious climate scenarios, and components of country-level GHG-GDP divergence. Beyond research, Nate works directly with companies, industry associations, and other stakeholders to map and implement pathways to a competitive low-carbon economy. Prior to joining WRI, Nate conducted energy efficiency research with the Lawrence Berkeley National Laboratory in California. Over five years with LBL, Nate’s projects were focused on energy efficiency policy, assessment of Chinese urban form energy use and emissions, Chinese energy data, transport electrification and renewable electricity scenario analysis, the coal sector, and the steel sector. Prior to LBL Nate lived in Shanghai, where he worked for the U.S. Consulate. In combination with living in Singapore and miscellaneous travel to the region, Nate has lived in Asia for more than 10 years. Nate holds a PhD from the Energy and Resources Group at the University of California, Berkeley, a master’s degree from Stanford University, and a bachelor’s degree from Cornell University. In his free time, Nate enjoys rock climbing, squash, and learning new languages. The Long March was a watershed moment in Chinese history—the moment Mao Zedong’s nascent Communist Party escaped disaster in 1934 en route to forming a new nation. Fast forward 80 years, and China is poised to embark on a new Long March – but this time away from climate change and environmental damage toward a sustainable future. When CEOs and heads of state meet on September 23 at the UN Climate Summit in New York, two questions will guide the discussion. When the IPCC released its Fifth Assessment Report earlier this spring, its message was clear: We must do much more to reduce greenhouse gas emissions in order to keep below 2 °C and limit climate change’s impacts. By presenting the current science, impacts, and options for addressing climate change, the IPCC has laid the groundwork for governments and the private sector to start taking more ambitious action. The next step for companies is to align their own plans with larger climate goals. U.S. manufacturing—and the jobs that go with it—have been steadily increasing since 2010. The future of U.S. manufacturing jobs is not set in stone—it will be highly influenced by company investments and new policies. As policymakers, private companies, and industry stakeholders turn their attention to the ongoing resurgence of U.S. manufacturing, policy and private sector programs are available to generate the Good Jobs, Green Jobs needed to sustain American prosperity. New energy efficiency legislation has been introduced by Senators Shaheen and Portman that could come before the U.S. Senate as early as this month. This bill, formally known as the Energy Savings and Industrial Competitiveness Act of 2013 (S. 761), provides goals, incentives, and support for energy efficiency efforts across the U.S. economy. Passage of this bill would be a positive step toward saving money through improved efficiency while helping reduce greenhouse gas emissions. While manufacturing is a critical part of the U.S. economy, it’s struggled over the last several years—both financially and environmentally. Overall U.S. manufacturing employment has dropped by more than one-third since 2000. Meanwhile, U.S. industry—of which manufacturing is the largest component—still uses more energy than any other sector and serves as the largest source of U.S. and global greenhouse gas emissions. The good news is that energy efficiency can help U.S. manufacturing increase profits, protect jobs, and lead the development of a low-carbon economy. The Midwest’s pulp and paper industry is a case in point: New WRI analysis finds that the pulp and paper sector—the third-largest energy user in U.S. manufacturing—could cost-effectively reduce its energy use in the Midwest by 25 percent through use of existing technologies. These improvements could save hundreds of thousands of jobs, lower costs, and help the United States achieve its goal of reducing emissions by 17 percent by 2020. As the White House moves to cut carbon dioxide pollution in America, energy efficiency improvements in Midwest pulp and paper mills are a tangible example of the win-win-win emissions-reduction opportunities in U.S. industry. The U.S. Environment Protection Agency finalized the Boiler Maximum Achievable Control Technology (MACT) rule today to protect people from exposure to toxic air pollution from industrial, commercial, and institutional boilers. By encouraging industry to use cleaner-burning fuels and to make efficiency improvements, Boiler MACT will modernize U.S. industry, reduce toxins, and cut carbon pollution. 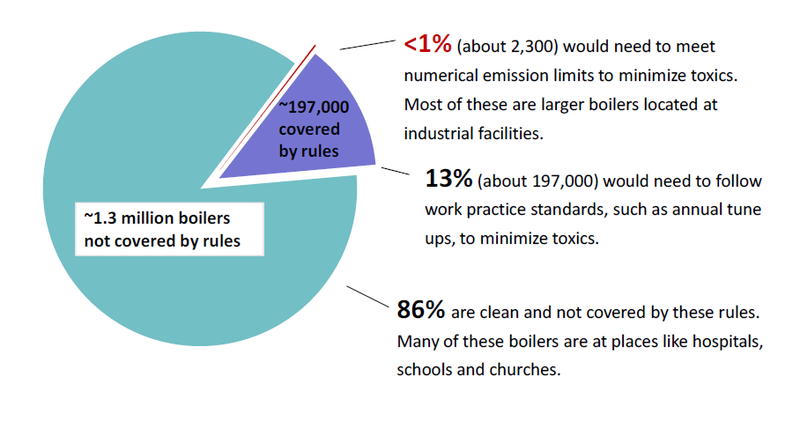 Fewer than 1 percent of all U.S. boilers will be required to reduce their emissions to levels that are consistent with demonstrated maximum achievable control technologies, or MACT standards. Operators of these types of boilers will have three years to reduce toxic air pollution and meet new emissions limits. A larger subset of U.S. industrial, commercial, and institutional boilers (roughly 13 percent) would not be required to meet the specific MACT standards, but would need to reduce their toxic air emissions through other means (as described below). About 86 percent of all U.S. boilers are relatively small, limited-use, or gas-fired boilers, and are not covered by the new rules. "Necessary but not sufficient: the role of energy efficiency in industrial sector low-carbon transformation." Energy Efficiency (2017): 1-19 DOI: 10.1007/s12053-017-9570-z. "Aligning corporate greenhouse-gas emissions targets with climate goals." By Krabbe Nate, Linthorst Nate, Blok Nate, Crijns-Graus Nate, Vuuren Nate, Höhne Nate, Faria Nate, Aden Nate. Nature Climate Change 5 (2015): 1057 DOI: 10.1038/nclimate2770.